Washington (AFP) - A formal request from a Democratic committee chairman to see six years of Donald Trump's tax returns was forcibly rejected Sunday by a top presidential aide, who said Democrats would "never" see the documents. Representative Richard Neal, chairman of the House Ways and Means Committee, sparked a contentious battle on Wednesday when he made the request using a little-known provision in the tax code, saying, "It is critical to ensure the accountability of our government and elected officials." 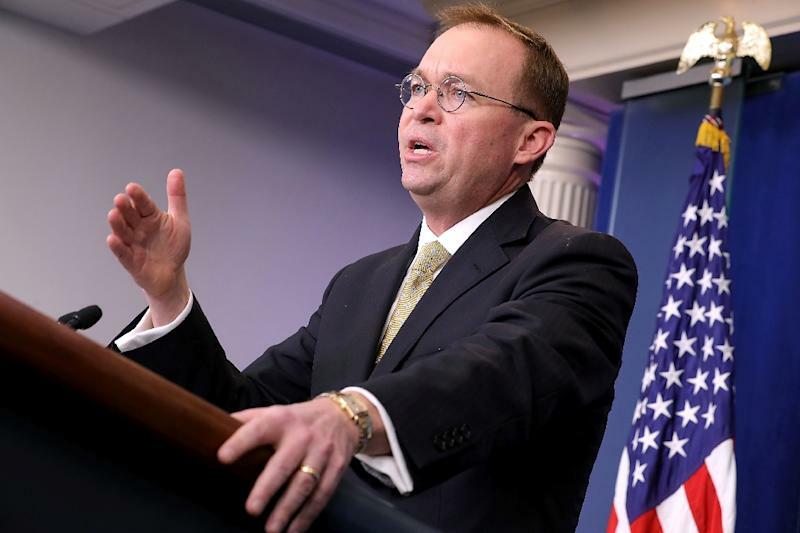 But when Trump's acting chief of staff, Mick Mulvaney, was asked Sunday whether Democrats would ever see the returns, he was unequivocal. "Never," he said on "Fox News Sunday." "Nor should they." He said that while there are legal provisions for the Internal Revenue Service to turn tax papers over to the Ways and Means Committee -- the chief tax-writing committee in the House -- a "political" attack is not a valid reason. Separately, Jay Sekulow, a private attorney for Trump, argued that the Democratic-controlled House was trying to move beyond its constitutionally mandated role of oversight into the realm of law enforcement. If the Democrats want to know "if the IRS is doing its job auditing the president, they could ask the IRS," he said on ABC's "This Week." "A Ways and Means hearing about IRS enforcement as a way to get to the president's private individual and business tax returns makes no sense, both constitutionally and statutorily," Sekulow said. But Dan Kildee, a Democratic member of Ways and Means, took strong exception. "We're looking very carefully as to whether or not the IRS is properly auditing and enforcing tax law on the president of the United States, and we're considering legislative changes toward that end," he said on ABC. "It's not up to President Trump -- or some lawyer that President Trump hires -- to determine whether or not this co-equal branch of government has the tools available to make the deliberations necessary in order to make policy. "This is not an autocracy."